In a collaboration with Wells Fargo, UWFK is pleased to offer an Imagination Library program for children from low-income families throughout Monroe County. 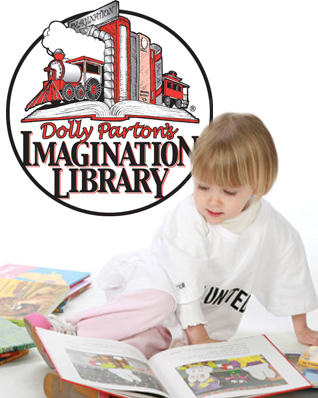 The Dolly Parton Imagination Library of Monroe County provides an age appropriate books once a month for children from infancy to age five. These books are designed to encourage children to read and engage parents in reading with their children! What are the requirements for families interested in signing up? 1) Have a child that is a resident of Monroe County, FL. 2) Submit the registration form, completely filled out by a parent or guardian. 3) Notify United Way of the Florida Keys any time your address changes. 4) Read with your child! Eight to ten weeks after your registration form has been received, books will begin arriving at your home and will continue until your child turns five or you move out of Monroe County. If you are interested in signing up for this program, click here.